We’re glad to see that you were curious about the 5 crucial points when creating a business sign. It’s often not as easy as it looks, but ABC Signs is here to help you answer any and all of these questions to get you inspired. Contact us today! Ask yourself, “What is my message?” By looking through the eyes of a potential customer you will be able to understand what message needs to get across when attracting them into your business. Whether it is laying out your capabilities or just a beautiful logo design, your message needs to be clear. Do not over-do it! Too many business owners overwhelm their potential customers with too much text and graphics on their signs. Keep it simple. Consistency is key. Obviously putting a message on your sign that is not accurate or misleading to your customers is a red flag, but branding and logo design can also turn away potential customers. Keep everything consistent with your company values and industry. Logos will easily blend into the sign and will not be visible at first glance, so make sure that any logo you place on a sign is legible and bold. Know the laws. 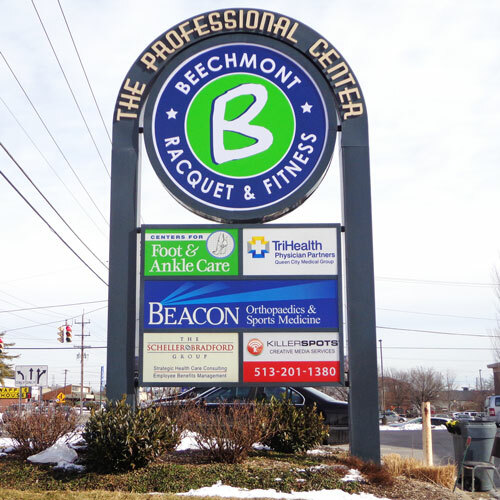 Creating a new business sign can be a big investment, so before you start the process make sure that you understand the zoning ordinances in your area.